Is your Apple Watch being fussy after installing watchOS 5? Here are a few ways to make it behave. Whether it’s an app on your Apple Watch or the Watch itself that’s giving you some trouble, you don’t have to panic: There are a few simple fixes you can employ to get your smartwatch back on the operational path in no time. Press the Digital Crown to try and return to the Apple Watch home screen, then relaunch the app from that home screen. 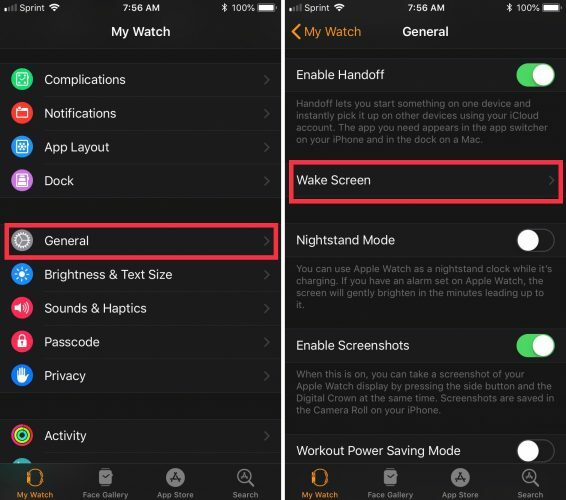 If that doesn’t work, try a force quit: Press and hold the side button on your Apple Watch until the sliders appear, then press and hold the Digital Crown until you return to the Home screen. Press and hold the side button until the digital switches appear. Slide the Power Off switch to the right to turn off your Apple Watch. 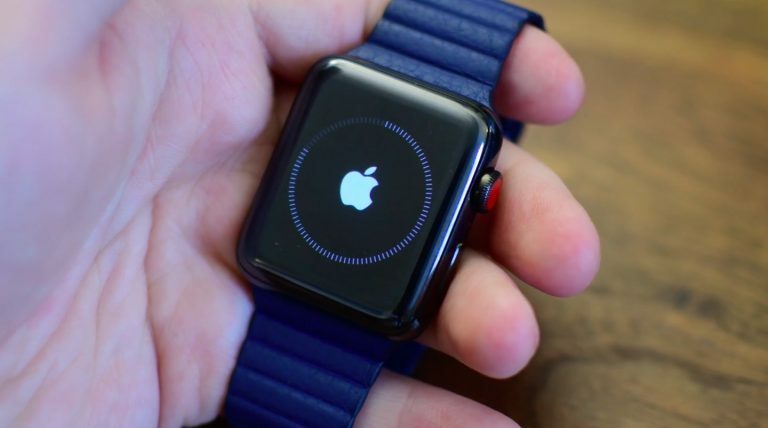 To restart the Watch once it turns off, hold down the side button until you see the Apple logo. 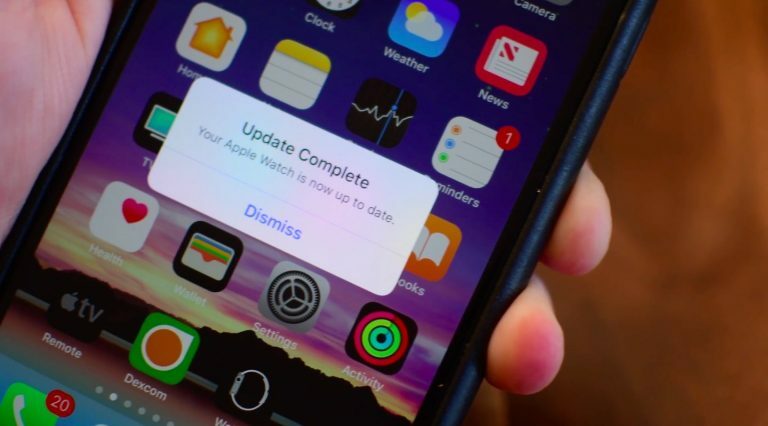 If a Watch restart doesn’t fix your problem, you might try restarting your iPhone, too. Hold the iPhone’s On/Off button until you see the “slide to power off” switch. Slide the “slide to power off” switch to the right. To restart your iPhone, press and hold the On/Off button. We also recommend checking the iPhone’s Apple Watch app for any software updates you might have missed, as they often can solve bugs and improve performance. Tap General > Software Update to check for updates. If your Watch has locked up entirely, you can try either a traditional shutdown and restart or a force restart. Press and hold the side button to attempt to bring up the Power Off screen. If that works, slide the Power Off switch to the right to turn off your Apple Watch, then press the side button again to turn it back on. If your Watch is unresponsive when you try to hold the side button, it’s time for a forced reboot: Simultaneously hold down the side button and the Digital Crown until you see the Apple logo (it may take up to ten seconds). 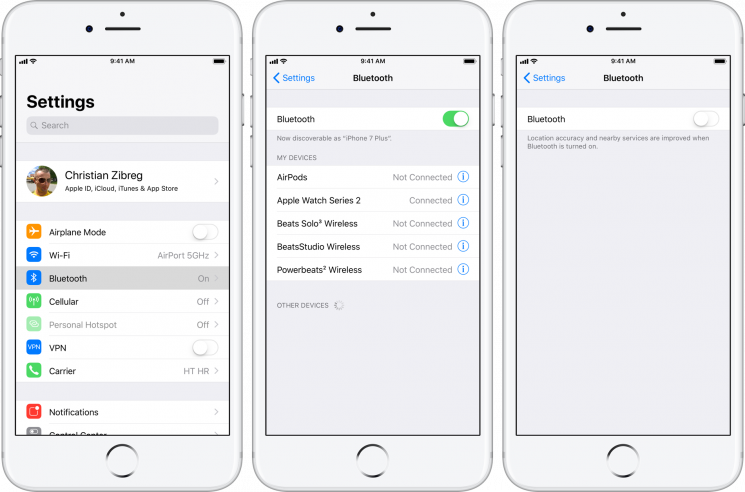 Make sure neither your iPhone nor your Apple Watch has Airplane mode enabled, and that your iPhone has Bluetooth turned on. Try toggling Bluetooth off and on from your iPhone. 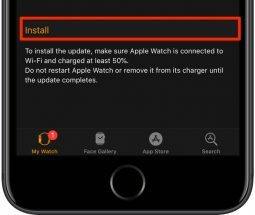 Apple Watch won’t connect to your iPhone? Here’s the fix! Is your Watch’s battery dying too early in the day for your liking? We put together a few tips to get the most out of your smartwatch without compromising on functionality. Apple Watch battery life: 8 power saving tips! If you’ve tried all these fixes and still can’t make your Watch work, it may be time to try an erase and restore. Your iPhone automatically backs up your Apple Watch in the background during daily use, so you shouldn’t lose any data during the restore. 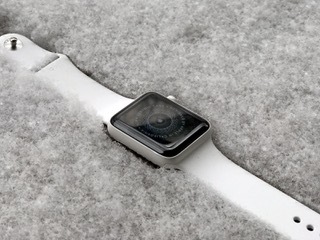 If a force restart doesn’t do the trick, your Apple Watch may be well and truly bricked: If you still see a red exclamation point or permanent Apple logo, you’ll need to contact Apple Support or make an appointment at an Apple Store. Due to the Watch’s sealed diagnostic port, Apple Support may have to send your watch to a depot location to fix it or replace your watch outright; as a result, you may not be able to recover any information on your watch after it has been bricked. Run into an issue we didn’t address here? Ping us in the comments or on our iMore forums and we’ll try to take a crack at it. Updated September 2018: Updated for watchOS 5. The fitness tracking on Apple Watch goes beyond just counting steps or tracking calories, instead focusing more on your overall health, differentiating between movement and actual exercise, and encouraging you to stand more than you already might. 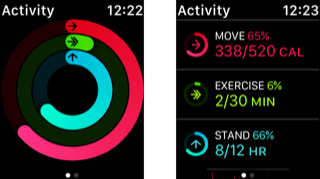 Performing the activities suggested by your Apple Watch helps fill up those rings in the Activity app, but how does Apple measure all of that, anyway? Well not to worry, we’ve got you covered right here. Here, you’ll find absolutely everything you need to know about the Apple Watch and activity tracking, from how to set it up and sharing activities to starting workouts. Let’s start with what the Activity app actually does, what it tells you, and what kind of data it collects. The Stand, Exercise, and Move rings make up the central display for your overall activity as captured by your Apple Watch. Scrolling down in the Activity app on your watch will show you an hour-by-hour breakdown of your activity for each (when you’ve moved, when you’ve recorded exercise minutes, and when you’ve stood). This one seems pretty easy. You fill the stand ring by standing up for one minute an hour in 12 separate hours. What this ring and the alert that comes with it are actually telling you is that you haven’t moved in a little while. So when your Apple Watch notifies you that it’s time to stand, don’t just stand up and stay still, but walk around a little bit. Take a short stroll around your office, or if you’re at home, go check the mail. This ring tracks a specific kind of activity. Apple defines exercise as anything equivalent to a brisk walk or more that raises your heart rate consistently. Apple monitors your heart rate and your movement data to make sure you’re actually exercising, and you can track workouts using the Workout app on your Apple Watch. Additionally, you can feed workout data into the Activity app using third-party workout apps that support this feature, meaning you can use all of the features provided to you by your favorite workout app while still filling the Exercise ring. 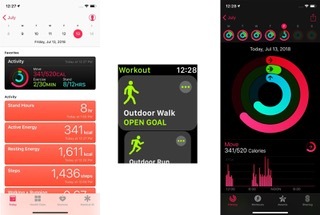 One thing to note about the Apple Watch’s exercise measurements is that, as you more, they will change over time. So the same activities that would potentially help you close your Exercise ring when you first got your Apple Watch may only get you part of the way there after months or even years of consistent activity. 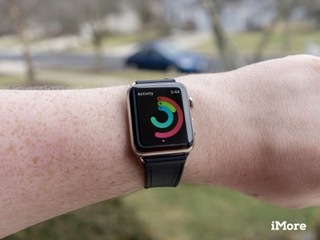 The Apple Watch learns your habits, and will consistently push you to go further. This ring shows how many calories you’ve burned throughout the day. It takes into account everything from motion to heart rate data, but it represents your total movement in a 24-hour period, not just exercise. You work towards a calorie goal that you set, and as you continue to wear your Apple Watch, it will be better able to measure how you burn those calories. 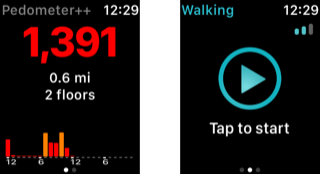 Existing on both the Apple Watch and iPhone, the Activity app keeps detailed records (more on the iPhone than the watch, admittedly) of each day’s activity. Using the iPhone app, you can explore your activity for each day that you’ve worn your Apple Watch, getting breakdowns of how and when you burned calories, looking at exact details of each workout, and exploring your past achievements and achievements still to come. With this knowledge in hand, it’s time to actually get activity tracking set up. Launch the Activity app from your iPhone’s Home screen. Once you’ve got Activity set up, there’s a lot you can do with it, whether its keeping track of fitness goals or sharing your workouts with others for some friendly competition. If you like to work out with friends or find a little healthy competition between you and someone else, the Activity app can help you out. When you enable Sharing on your iPhone and Apple Watch, other people can view your progress and compare and challenge themselves to work out as hard or harder than you, and even send you taunting messages along the way. With the Activity app, you will get daily — often hourly — alerts reminding you to stand up, get moving, and do a bit more exercising to meet your goals. Sometimes though, you’re stuck in a car, on an airplane, or otherwise stationary for hours and hours and just can’t do your routine. You can silence these reminders altogether or even just for a day. The Workout app that is built into your Apple Watch lets you track a lot of common workout types from outdoor running and walking to indoor stationary equipment such as an elliptical. Starting a workout is easy. When you’re done your workout, it will automatically be logged in not only the Workout app but the Activity app and the Health app on your iPhone. 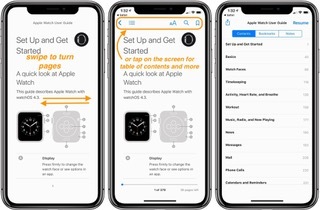 Whether you’re new to Apple Watch, or just enjoy having the official user guide from Apple as a reference, having it on hand can be useful for yourself in addition to helping others. Apple makes the official user guides for its devices available for free in digital formats. 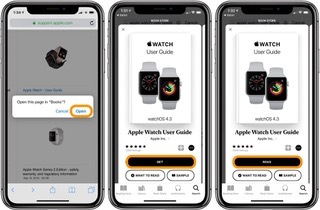 You can find physical copies from various third-parties ranging from around $10-$20 on Amazon, but the free official Apple Watch guide has some benefits. Aside from being the official guide from Apple, it is updated over time as the company releases new software and changes come to Apple Watch. Another big benefit is that the Apple Books guide is quickly searchable. After following the link to the free user guide, tap Get and then Read to open it as shown above. On iPad and iPhone, you can swipe to turn pages, don’t forget to tap the screen to use the handy table of contents at search feature up top. Find me! Has your Apple Watch ventured off somewhere? If it’s still online, you can use the Find My iPhone app to track it down. The Apple Watch has long had a “Find My iPhone” button for quickly summoning a wayward smartphone, but what happens when the watch itself goes missing? Whether you’ve accidentally buried it under a clothing pile or it’s gone off on a Pokémon Go walkabout, here’s the best way to quickly find it. Note: To find your Apple Watch, you’ll need iOS 10.3 or later and the Find My iPhone app, and your Apple Watch will need to be powered on. Open (or download, if you don’t yet have it) Find My iPhone. Sign in with your iCloud account. 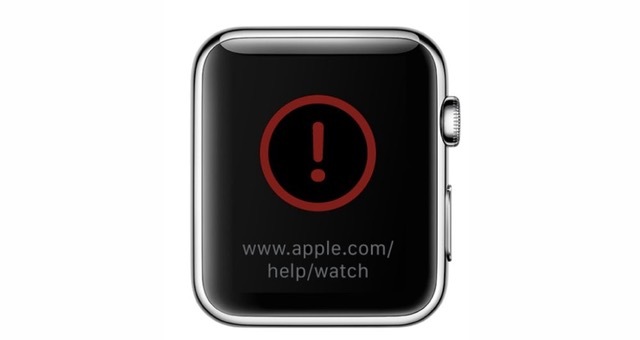 Tap on the entry for your Apple Watch. Select Actions. If your Apple Watch is powered on, you can track it on a map as well as mark it lost, erase it, or play a sound. 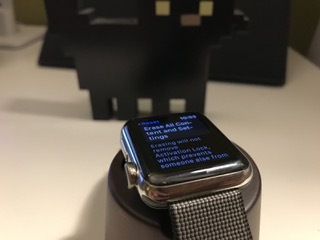 When you find your Apple Watch, you can dismiss it from the watch face by tapping Dismiss. Can’t find your iPhone instead? Here’s how to find it with your Apple Watch! 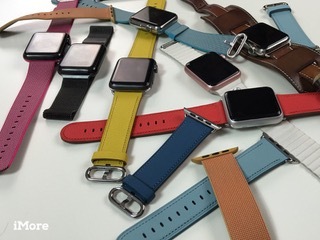 Still can’t find your Apple Watch? If your missing Apple Watch is out of charge or Wi-Fi range, you may be out of luck in locating it via the Find My iPhone app. That said, you can still go about looking the old-fashioned way — back-tracking where you had it previously — and put it into Lost Mode; if someone finds it and powers it on, you’ll immediately receive an emailed alert. Serenity is the Managing Editor at iMore. She’s been talking, writing about, and tinkering with Apple products since she was old enough to double-click. In her spare time, she sketches, sings, and in her secret superhero life, plays roller derby. Follow her on Twitter @settern. Apple’s iCloud makes it possible to sync and store data you need across all your devices. Easy access, baby! Your devices support entering the familiar Apple logo symbol with keyboard shortcuts. Some people will find entering the Apple logo symbol an indispensable feature for renaming products like in Apple’s marketing materials, such as Pay or Music,. Others may be content with saving a few characters on social media apps like Twitter and Instagram. As you’ve likely noticed by now, your Mac’s keyboard lacks a dedicated Apple symbol key even though this special character is actually available to type on your devices. The Apple logo character renders properly across any iPhone, iPad, iPod touch, Mac, Apple TV or Apple Watch. It can be typed on iOS, macOS and tvOS devices. On watchOS, the Dictation and Scribble features provide no way to enter the Apple logo whatsoever. Both the Windows and Apple logos are in the private use area of the extended character set because the standard Unicode character set doesn’t contain any corporate logos. Due to their different implementations, these symbols don’t show as visible on other platforms. TIP: The website Alt-Codes.net lets you find numeric values of special characters. Follow our step-by-step tutorial to learn how how to properly type the Apple symbol with your iPhone, iPad, Mac, Apple TV or non-Apple platforms such as Microsoft Windows. To visualize the Apple symbol’s placement on your Mac keyboard, choose the option Show Keyboard Viewer from the Input Source popover in macOS’s menu bar. This lets you visualize key assignments for special symbols. To reveal additional hidden characters, press a modifier key like Control (⌃) or Command (⌘). International users who rely on world keyboards that feature keyboard layouts that are different from the standard US QWERTY keyboard can add the US English layout via the Keyboard preference pane, then switch to it before entering the Apple logo symbol. The Option (⌥)-Shift (⇧)-K Mac keyboard shortcut has no alternative on iOS. There’s no Keyboard Viewer on iPhone, but iOS include a dedicated feature to make entering phrases and special symbols easier, called Text Replacements. Also found on macOS, this auto-replaces a word or a phrase with custom text, like replacing (c) with the copyright symbol. 6) Copy  from this post with your iOS device, then tap and hold next to Phrase and select Paste from the bubble menu to insert the Apple logo symbol. 7) Tap next to Shortcut and create a custom text snippet to be replaced with the Apple logo. I use the shortcut “appl,” but you may choose a different shortcut that better suits your needs. To avoid triggering it by accident, come up with some unique letter combo that’s not part of any common word or phrase. The newly created shortcut will automatically expand into the Apple logo symbol as you type. That’s right, now you can enter the Apple logo with your iOS device or Mac in your emails, texts, documents, notes and more—just hit the Space bar after typing the “aapl” shortcut to have it replaced with the Apple logo character. The key benefit of this method is synchronization: your text replacements are kept in perfect sync across iOS and macOS via iCloud, letting you enter the Apple logo across iPhones, iPads and Macs using the same text shortcut. If you pair a wireless Bluetooth keyboard with your iPhone and iPad, you can also enter the Apple logo symbol by pressing the same Option (⌥)-Shift (⇧)-K keystroke like on Mac. 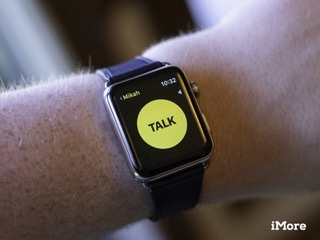 Dictation and Scribble, the two primary input methods in watchOS, unfortunately do not offer any way of entering the Apple symbol using one’s voice similar to punctuation and formatting. 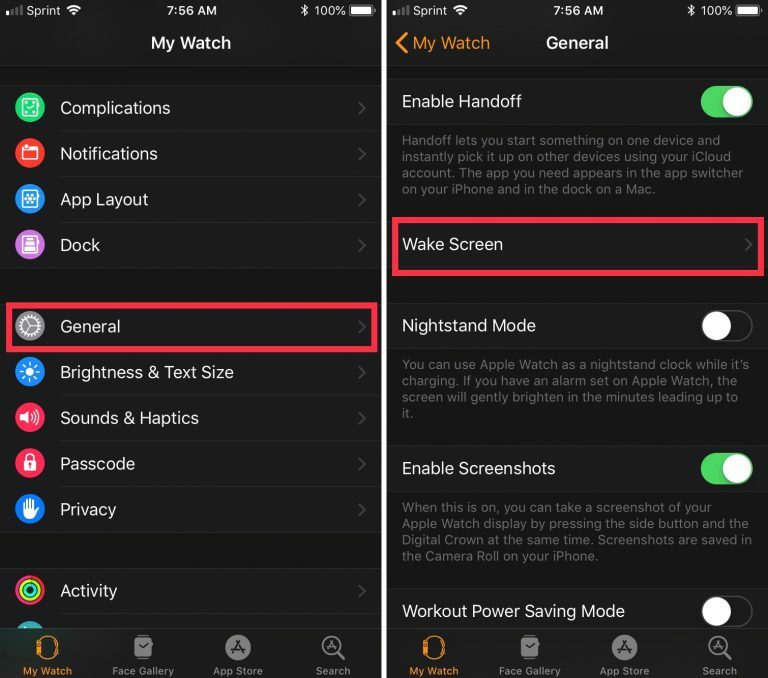 The logo does show as visible on Apple Watch in apps like Messages and Reminders because it’s supported by the default fonts included in the watchOS operating system. 2) When the device finds nearby Bluetooth accessories, select your keyboard from the list. 4) Navigate to the section of an app that accepts text, like YouTube’s search feature. Alternatively, try renaming your Apple TV by going to Settings → General → About → Name. 5) Press Option (⌥)-Shift (⇧)-K on your Bluetooth keyboard to enter the Apple symbol. And just like that, the symbol is written out on your TV! 1) On your iPhone or iPad with iOS 11 or later, open Settings → Control Center → Customize Controls and tap “+” next to Apple TV Remote. 2) Be sure to set up a shortcut on your iOS device that will replace “appl” with “” by following the step-by-step instructions provided in the iPhone and iPad section of this tutorial. 4) On your iPhone or iPad, open Control Center and tap the Apple TV Remote widget you just added, then choose your Apple TV from the list and enter the four-digit passcode that appears on the Apple TV screen, if necessary. Alternatively, press a notification that pops up on the Lock screen of your iPhone upon selecting a text field on your Apple TV. The Apple TV Remote widget in Control Center works only with the fourth-generation Apple TV 4K and Apple TV 4K, and also requires an iPhone or iPad with iOS 11 device or later. If you own an older Apple TV model or have yet to upgrade your device to iOS 11 or newer, download the free Apple TV Remote app or the iTunes Remote app from App Store and set it up to remotely control your set-top box, type out the Apple logo and access additional features, like Now Playing and Game mode. Entering the Apple symbol on your Apple TV using the Dictation feature is unsupported. As we mentioned, the Apple symbol is included in the extended character set. It’s defined in one of a private-use character points that are intended for certain apps and devices that need to display one or more glyphs unspecified by the Unicode standard. This, coupled with the fact that Unicode does not contain any corporate logos as part of the standard character set, is why the Apple symbol in your Pages file or other document in most cases won’t show as visible on Windows, Linux and other non-Apple platforms. On Windows there are many ways to enter special characters, but we’ll focus on the perhaps the most popular method: alt codes. 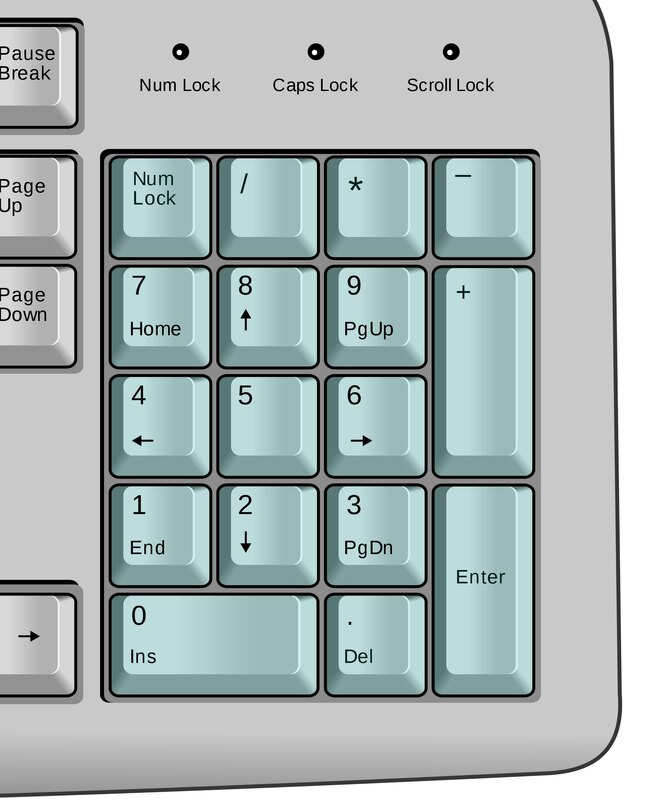 It works by pressing and holding down the Alt key on the keyboard while typing the character’s 4-code decimal value. I recommend using dedicated options for entering special characters that are found in some Microsoft apps, like Word, Excel, PowerPoint and Outlook. To see a graphical representation of the special symbols, open the Windows app Character Map (charmap.exe). The alt code trick won’t work if the selected font lacks the Apple logo. If so, be sure to select the Baskerville Old Face font in the Character Map app. Now select the Apple logo symbol and click the Select button, then choose the Copy command to send it to the system clipboard, ready to be pasted into other apps via the standard Ctrl-V shortcut. The Apple logo or any other special character or symbol can be typed out in your blog posts or webpages by using the HTML entities hexadecimal notation followed by a character’s Unicode hexadecimal value. In our example, the Apple logo symbol has the Unicode value F8FF. 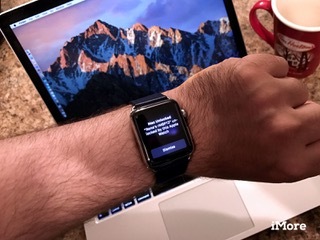 Can’t unlock your Mac with your Apple Watch? Here’s how to fix it! When the Apple Watch’s Auto Unlock works, it’s magical. You open or approach your Mac while wearing your Apple Watch and, instead of having to type in your — hopefully long, strong — password, it just logs you in. No fuss. No muss. But when it’s not working, you might feel anger, frustration, blame, recriminations, along with having to type in that — hopefully long, strong — password. Not so much fun. So what can you do when Auto Unlock doesn’t work? Here’s an in-depth guide to help you out. Is your Apple Watch paired correctly? Your Mac is not compatible: Remember, to use Auto Unlock, you must have a 2013 Mac or newer. 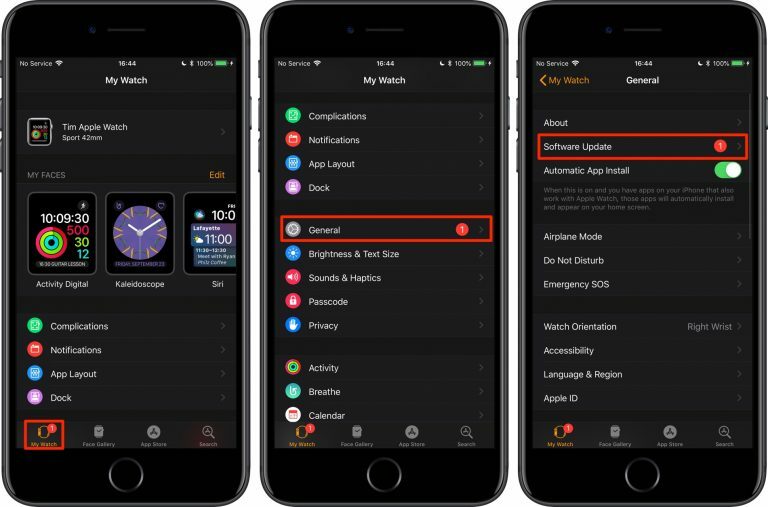 Your software isn’t compatible: If you own an Apple Watch Series 0, 1, or 2, you’ll need watchOS 3 or later and macOS Sierra or later to use Auto Unlock; the Apple Watch Series 3 requires watchOS 4 and macOS High Sierra or later. You don’t have two-factor authentication enabled for iCloud: Either you never enabled two-factor authentication, or you still have Apple’s older two-step verification procedure enabled instead. Your Mac and Apple Watch are signed into different iCloud accounts: Make sure your devices are both signed in with the same Apple ID. Your Apple Watch or Mac don’t have a passcode enabled: Both devices should have a default passcode enabled to use Auto Unlock — otherwise, what are you unlocking? These quick fixes fail to address your issue? Check out our more in-depth troubleshooting options below. If so, you should disable it. Enter your system administrator password. 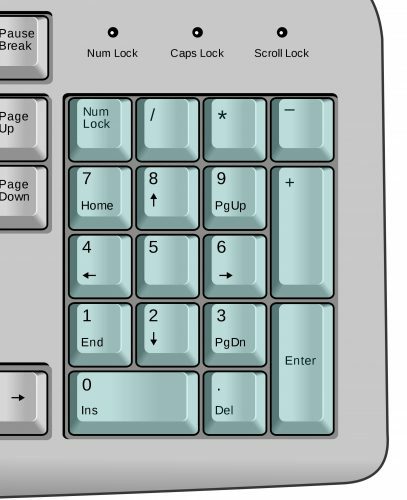 Select Off from the Automatic login menu. This has happened to iMore staffers before: Editor Lory Gil had forgotten to pair her existing Apple Watch with her new iPhone, which momentarily broke Auto Unlock. Auto unlock requires Bluetooth 4.2 and Wi-Fi to be up and running on both your Apple Watch and Mac in order to work. If one or both radios have been turned off on one or both devices, or somehow stopped responding, Auto Unlock will likewise stop working. Cycling them can sometimes jump start everything back into action. Swipe up from the watch face to bring up control center. Click on the Bluetooth icon in the menubar. Click on Turn Bluetooth Off. Click on the Bluetooth icon in the menubar again. Click on Turn Bluetooth On. Click on the Wi-Fi icon in the menubar. Click on Turn Wi-Fi Off. Click on the Wi-Fi icon in the menubar again. Click on Turn Wi-Fi On. Once you’re done, try auto unlock again. If it works, great. If not, keep reading. Press an hold the Digital Crown and Side button at the same time. Keep holding them down until you see the Apple logo. Click on the  button on the menubar. Once you’ve rebooted, auto unlock will be temporarily disabled. Enter your password to re-enable it. Then let you Mac sleep and try auto unlock again. 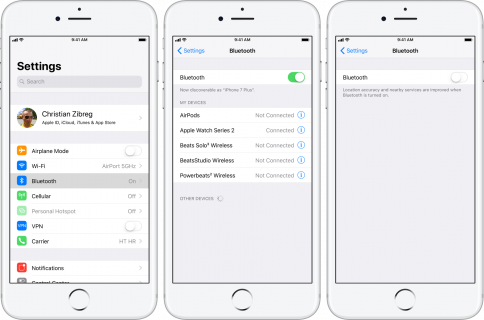 Apple’s Bluetooth and Wi-Fi stacks—the set of software that controls the radios—aren’t without occasional quirks. Sometimes, new versions of watchOS or macOS introduce compatibility problems; other times, they fix them. If you’re having Bluetooth or Wi-Fi connectivity problems, you’re better off updating than not. If it’s already broken, the update is your chance for a fix. Tap on the My Watch tab at the bottom. If there’s an update available, tap to install it. Click on the Updates tab, top left. If there’s a macOS software update available, click to install it. Once you’re done updating, try to use auto unlock again — after you’ve logged in following reboot to re-enable it! 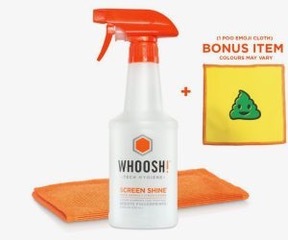 If it works, awesome. If not, there’s even more to try! 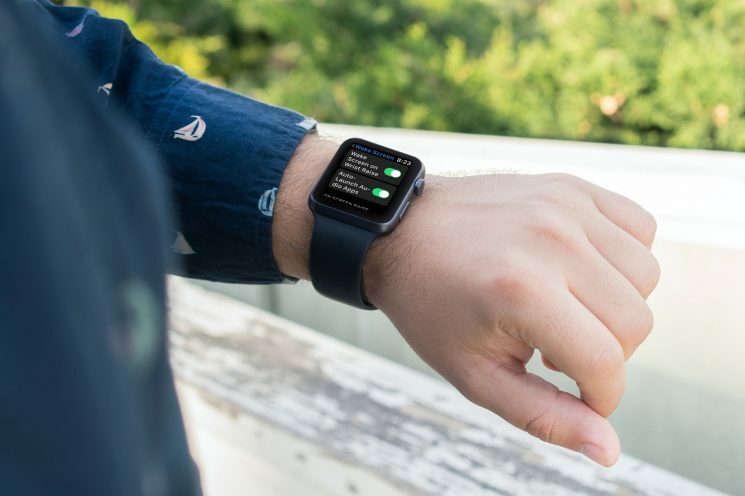 Re-pairing your Apple Watch is a huge pain, but if something has gone wrong with the connection between your iPhone and Apple Watch, secure information won’t be transmitted properly, and that will stop auto-unlock dead. Tap on [Name]’s Apple Watch at the top. Tap on Unpair Apple Watch. Sometimes a problem really is a problem. Like any electronics, Bluetooth and Wi-Fi radios and the various connections to them can have problems. If you have AppleCare+, don’t walk, run to your local Apple Store to get it looked at. Updated March 2018: Updated to reflect High Sierra and watchOS 4.